Home » Why can Phentermine cause Insomnia? One of the side effects associated with the phentermine weight loss pill is insomnia. Insomnia or some other sleeping disorder will usually happen within the first few weeks of taking phentermine and it generally goes away on its own. Insomnia is a pathological state caused because of the potent anorexigenic effect phentermine has on the brain. 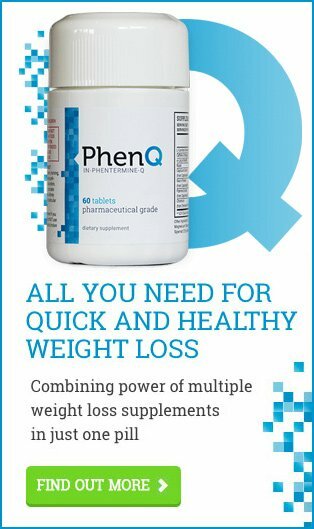 When you take phentermine they dissolve in your stomach and release their main active ingredient in to your bloodstream. Then the phentermine enters your central nervous system it stimulates the brain and boosts your levels of serotonin. Serotonin is responsible for passing signals between your brain cells. Having high levels of serotonin can reduce your appetite. It also narrows the walls of your blood vessels, and increases your blood pressure. This can cause hypertension and make you more excitable, two of the causes of insomnia. Taking phentermine can also increase your heart rhythm and your brain activity. When this happens it’s difficult for obese patients to relax and finally fall asleep. Because of this it’s recommended that obese patients should take phentermine weight loss pills first thing in the morning. Doing this decreases the chances of developing insomnia and keeps the appetite suppressant working throughout the day. If a phentermine patient follows all of these recommendations but still suffers from sleeping disorder they may have their dosage cut. A smaller dose is metabolised much quicker and is removed from the body quicker. Don’t drink alcohol before bedtime. Even though small amounts of alcohol can help sedate it and fall asleep, it has a negative effect on the deep sleep phase. Don’t eat a lot of food before bedtime. Eating a lot of food stimulates your circulatory and gastrointestinal systems. It’s also recommended that you avoid eating large amounts of food while on phentermine anyway. You should give up smoking. The nicotine in cigarettes stimulates your brain, can lead to adrenaline being released, and increases your blood pressure. Exercise more. Exercising takes a lot of energy and boosts your metabolism. It also makes it easier for you to fall asleep. Though you shouldn’t exercise right before bedtime. Do your exercise in the morning or afternoon. Avoid drinking caffeine. Caffeine is what is called an alkaloid. It makes your brain more excited and stops you sleeping. Caffeine stays in the body a long time too. It’s recommended you never have caffeine in the afternoon. You can also give using prescription or over-the-counter sleeping pills a try. It’s important that the pills you try don’t negatively affect the phentermine. Consult with your doctor before going on any other pills or medication while taking phentermine.